It was just past 3 a.m. in a pitch-black Marriott hotel room in Baltimore, MD, when Todd Cornell sat up decisively in the hotel bed. The city outside glowed a wintery dusky pale yellow and neon-green, as the occasional car sped by, leaving a trail of silence in the deep of the night. He glanced down at his phone on the nightstand, the only vague light in the room, and turned it over, as if that would make his reality disappear. He arrived in Taiwan in his mid-20s on a one-way ticket with nothing but a suitcase and hunger for language and culture. But it was his passion for foreign languages that landed him here. Even as a young child in elementary school, he would sit in the front row of after-school French language program, savoring each word like a sommelier might when thoughtfully tasting the world’s most exquisite wines, richly swirling the words around his mind. He still remembers those first days in Taiwan clearly. The side-streets infused with incense, bellowing above a dragon’s head carved in a glistening Chinese temple gateway. The local family where he was to stay, arranged by the cultural foundation, had welcomed him, taking his luggage, as he followed them through a narrow worn entry up a hidden blue-green Formica stairway into the He family’s home. The morning after his arrival as he sat at that small round kitchen table with his new Chinese family over a traditional breakfast of fresh hot soy milk, you-tiao –a kind of deep-fried dough, and fried eggs, Mr. He, a dentist, had let out a loud belch. Cornell lifted his head, startled. His eyes dashed around the table then quickly dashed back when no acknowledgment was received. Belching, he later learned was simply like a compliment after a good meal. And by the second or third meal, like so many other Chinese customs, Cornell thought nothing of it. It was the language that he still couldn’t grapple. Even the simplest phrases got twisted in Mandarin Chinese. “Thank you,” he would often say, forgetting that the word would immediately return alarming stares from his Chinese friends. “Thank you,” he learned, made them feel like he was putting distance between them and is reserved for people you aren’t close to. Over the 20 languages Cornell has studied, his fluency in Mandarin Chinese has taught him that it’s the one language that gets harder the more you learn. He remembers the headaches he got in early days in Taiwan. It was in these moments when his mind wandered to chili rellenos and burritos and craved the simple things he had taken for granted back home - like walking into a store to ask where something was. How easy it would be to turn around and fly back to the U.S.
“You can always leave, but you may not be able to come back,” a voice somewhere inside of him had said. And so he stayed – for 15 years straight, immersing himself in the Chinese culture, graduating with a Bachelor’s in Language Arts from a Chinese University, and assisting high-profile Western companies with management, moving from Taiwan to Hong Kong then throughout several provinces of China, gaining exposure to many of the hundreds of Chinese dialects. Sometimes, he forgot he was a white guy. He didn’t hang out with white people outside of work. The “expats” as they called themselves had little interest in the 5,000-year-old Chinese language and culture that Cornell so passionately embraced. “Being with you is like being with a Chinese person,” his Chinese friends would say, with a chuckle. There was something about Cornell’s sincere platonic nature, and his Chinese that flowed gently through him in an unrushed voice that they admired. It took many years and as the Chinese would say “running into nails”, but over time, he learned to respect their culture, and in turn a national cumulative admiration quickly built around this white man who somehow knew more about Chinese culture and language than many of the Chinese themselves. A loud wave of congratulatory claps had filled the Beijing Television studio auditorium at the end of his performance, and Cornell bowed gracefully, walking off the stage with a blue khata that he respectfully placed around the original singer’s neck who beamed at him with admiration. He had stumbled into the role of a famous foreign singer by accident; it was the Inner Mongolia TV station that came looking for him and asked if he would sing on the show in Mongolian. Little did they know that this was the white man, the first foreigner to ever sing in a minority language on TV, who would win first place and leave waves of pride back to the people in Inner Mongolia where he resided. His notoriety throughout China as a well-traveled linguist and interpreter after being immersed in pure eastern perspective for 20 years and living in so many different regions of the country was exactly why the NSA had offered him a job as a Chinese language expert. “I know our values and ideals. I also know the values and ideals of the Chinese,” Cornell said. Bring them together and both sides win. But something about this new job far from his Fort Collins, Colorado home didn’t feel right. After two years of meticulous background checks from living in China for over 20 years and scrutiny into who this rare hybrid of Chinese and American linguist was, Cornell’s plane had finally glided into his future city of Baltimore. A resigned look settled over his face as he peered out his plane window at the bundle of towers reflecting off the water’s edge and he knew in that moment that this was not his home. He hadn’t fallen back asleep since waking up in the middle of the night and he felt an unfamiliar nagging hollowness when he thought of the job. It wasn’t like him to not follow-through and for so long the offer was enticing; everything seemed right. His first impulse had been to say yes. But he couldn’t erase what his 20 years of Early Buddhist philosophy had taught him. “Om Mani Padme Hum,” he would often chant to himself, and the words out loud sent a twinge of memories of the maternal librarian back at the University in Huhhot, Inner Mongolia, China, who had taken him under her wing and taught him the phrase one day over lunch at her house. It is one of the few phrases that can be translated only through understanding universal vibration. According to Buddhists, om is considered to be the sound that created the universe, ringing pure vibrations through the body sending ripples beyond. Sometimes there are simply no words for justification – just a subtle feeling. He had learned long ago in China that his life should flow softly and fluidly like water, as Lao Tzu taught, and that he would live mindfully in the present moment. Daoist and Buddhist philosophies had taught him to focus on the breath, and to notice thoughts, sensations, and be aware of his emotions. In the face of doubt, he knew he could always go within for the answers, and while everything sounded right about the job, everything felt wrong, its stinging vibration of incessant inspection didn’t mesh well with the mindful philosophies that he applies to his life. Today Cornell isn’t just a Chinese instructor, interpreter, and a certified cultural intelligence trainer for CEOs and other U.S. business and government leaders who need assistance with Chinese negotiations and interpretation, he’s also a teacher of mindfulness. After that fateful day when he walked away from the NSA job offer, and returned to his true home in Fort Collins, Colorado, he developed the Mindful Breath Program based on his own experience and practices learned from the Venerable Kong Hai, his Buddhist monk teacher in Taiwan, who he has studied with for over 10 years, as well as decades of study in literary Chinese about the Dao, Confucianism, and other Chinese philosophies. The people who come to him for mindfulness coaching in his business Get Less Stress are overworked, and disillusioned with their jobs or relationships. They feel a loss of control, they’re drained; they’re unhappy. They are almost always seeking outside circumstances to change, and it all comes back to wanting to feel happy again. Cornell applies the three philosophical pillars of Chinese culture: Taoism, Confucianism, and Buddhism in his mindfulness coaching, focusing each week on one aspect for practice, and the once stressed-out unhappy people reappear at the end of seven weeks liberated. Suddenly, life is about new possibilities. Before Cornell arrived in China, his identity had been rebuked by a Christian elder he had confided in as a teenager about life challenges. A wave of embarrassment and fleeting unworthiness washed over Cornell that day, and it wasn’t until he arrived in China when he saw a world unmoored from the Judeo-Christian everyone-is-a-sinner mindset. There was a “smoothness” to Eastern philosophy he admired, free of the entanglements of his old religion’s regulation and law. The Chinese were emanating a cultural evolution and even people in the West took notice. Who was he or anyone, in fact, to tell these people that just because the message from Christians wasn’t passed along to them the prerequisite to heaven to accept Jesus as their savior or they were doomed? The kindness and inclusiveness the Chinese had shown him was more than he had experienced back home, for they recognized people as eternal evolving souls, not fixed forms, with some more intrinsically valuable than the other, and that was enough to spark Cornell’s desire to learn more about them. When I met Cornell at his downtown office at the Music District, perched at the top story overlooking the bustling Fort Collins through large glass windows, he told me all of these Eastern philosophies, these languages, the Chinese culture, it was just a passion that led him back here, to his true home in Fort Collins. His bookshelves and desks are full of books in Chinese, and I realize why the NSA and other businesses found Cornell so valuable – he’s learned their practices through the unfiltered lenses of the original language so nothing is lost in interpretation. He pointed to the vibrant “We Are Fort Collins” banners waving in the distance, just across the street from his office. Cornell collaborated with the city in constructing the banners that originally intended to be read, “All are welcome,” first in English, and then in multiple languages beneath it. After consulting with Cornell, the city changed the banners to read “We are Fort Collins” because as Cornell pointed out, “All are welcome” in some languages still infers the idea of invitation and that some are still outsiders. Who would have thought? Cornell has a dream that his hometown of four generations, Fort Collins, CO, will someday be known as “the most peaceful city in the United States.” That’s why he’s also established a 501(c)3 Business, Mindful Fort Collins, to change the course of the mindful movement, formerly reserved for elite white people, a movement to teach mindfulness through speakers, workshops and classes to low-income people around town, in homeless shelters, jails and halfway houses. He believes the mindfulness movement must be dispersed, and as I see the excitement in Cornell’s eyes when he speaks of his businesses - all with ties from the Asia - coming full circle back to Fort Collins, it’s clear that this is just the beginning of something big about to happen. “It’s like the guy’s had 12 lives,” I told my family later that evening, as I panned around the Beijing TV video of him, cloaked in his royal blue and gold debonair robe, singing heartfully from a stage to a hypnotized Chinese audience. Everyone wanted to know what he was, as if there were some singular, social identity I could scribble on him, but Cornell will always be an explorer, like that mid-20s kid, the one fresh off the airplane in Taiwan, standing in that colorful city square, brimming with observant awe and giddiness, capturing with all of his senses a culture that was once to him pictures on a wall, words on a page, now fully alive and ready to embrace. Bringing China home through his ventures is just another chapter for Cornell and the rest of Fort Collins, and although he writes it in Chinese, he speaks it in a language we can all understand. Todd Cornell is a certified cultural intelligence trainer for CEOs and other U.S. business and government leaders who need help with Chinese business relations, negotiations, and interpreting. “When dealing with China, we really want people from our own side,” Cornell said. The Chinese adhere to the above-referenced saying wholeheartedly – but Americans don’t. “The Chinese don’t go out and use non-Chinese people in really sensitive or business situations where they are acting with another culture. They use their own people who have learned that language or have been living in that country because they trust their own people to do a good thing. One of our culture’s biggest challenges is gullibility – we trust people too quickly. We instantly think, ‘Oh there’s a person from a country I want to do business with and they speak the language I’ll let them help me.’ In China, even children aren’t this trusting. Having lived in China for 20 years I learned through a lot of hard lessons how they think. Hiring people not born and raised in this country shows a lack of understanding in their background and language. The Chinese will always look back to China as their motherland. They have great pride for who they are, their 5,000-year-old culture and they should. I love the Chinese culture and everything that I learned from the Chinese but I also learned that you can’t just jump in the pool with them. As a country, we don’t understand that it’s important to work with people who have come from learning that side of the river but are from this side of the river – because people like him are going to be most interested in this side of the river. I know it sounds controversial, but many of the Chinese are simply going to be most interested in gain and opportunity for themselves and their motherland rather than seeking the best interest of the U.S. It’s extremely rare to find an American with Todd Cornell’s skillset – but it’s crucial in negotiations with the Chinese. “Know your opponent and know yourself and you will win all battles,” are the words Cornell lives by. With Cornell on your side, you’re getting help you can trust. Cornell offers a wide range of services to support your success. The Chinese enjoy hearing us speak their language! Even if it's minimal, the Chinese appreciate us learning their language and culture. It improves relationships and makes getting things done a bit easier. Learn cultural phrases and expressions that will give you insight into the profound and fascinating culture of China and how the Chinese view the world. These phrases and expressions are not easily learned in books, but they are cultural expressions that are key to Chinese relationship building. Learn some basic Chinese expressions to help you to tap into Chinese culture in ways that are not possible through English. Todd Cornell holds a U.S. Master’s degree in Education, a Chinese Bachelor’s degree in Language Arts and has been speaking Mandarin for 40 years, plus, he spent 20 of those years living and working in Chinese-speaking countries. He attended U.S. Government sponsored training for Chinese language teachers. His speaking and reading skills have been assessed by ACTFL, The American Council on the Teaching of Foreign Language, and the Department of Defense. He spent over 10 years in Chinese business management including manufacturing, worked as Chinese language instructor, held the position of the associate director of the Confucius Institute at Colorado State University and has strong simultaneous interpreting and professional language skills. Visit www.cultur668.com for more information. We practice the skills of mindfulness and support each other to nurture the positive characteristics of mindfulness and grow a community that is based on compassion and acceptance for all residents. Mindful Fort Collins collaborates with various nonprofit and for-profit organizations to hold mindful meditation group meetings. For more information about upcoming mindfulness events visit www.mindfulfoco.org, Mindful Fort Collins on Facebook, or Meetup. Experience the six-week interactive Mindful Breath Program, a program developed by the team at Mindful Fort Collins. Change your thoughts, change your life. Become aware of feelings and sensations that you were not aware of before and learn real-life skills and tools to keep you in the present moment and quiet the mind. By practicing mindful meditation daily, you will feel more balanced and gain insight, and wisdom to change your life for good. You will feel certainty and calmness and a new perspective, recognizing how your thoughts influence your reality and emotions and how to change them for the better. Visit www.mindfulfoco.org for more information. I will take your photos and tell your story for you to share on your own blog and website! 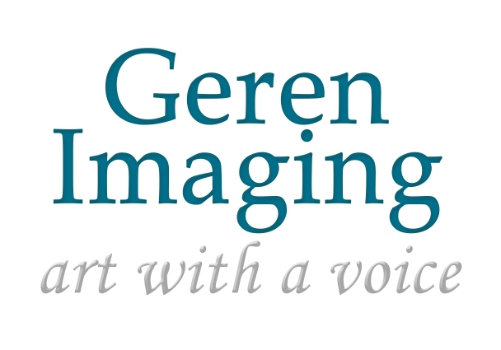 Your photographic article is is also shared via Geren Imaging's email newsletter and social media platforms in front of hundreds to thousands of relevant people. Awesome article that I really enjoyed reading. The quotes and pictures made it even more so. Thanks for sharing. Mary - Awesome article. Knowing Todd, this is a true tribute to his journey thus far. Expertly written, Jennae, has brought to life this amazing man’s journey of following a path destined to bring him home and beyond. This is an inspiration for all of us to be mindful of our own unique journeys and the gift we be as we follow our heart of true knowing. Thank you Todd and Jennae.